No one in Austin had even heard of Karlin Real Estate three years ago. 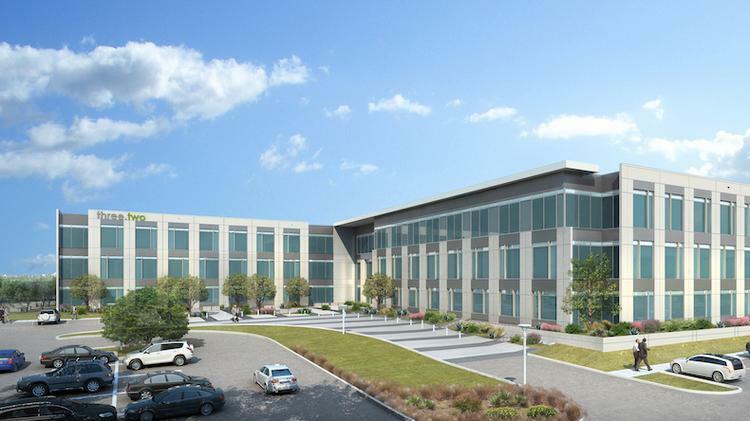 Now the Los Angeles-based investor is a formidable presence locally as it breaks ground this week on the first element — an office building — of a $1 billion multi-use development in North Austin. Karlin purchased the 300 acres in Fall 2012. The acquisition was considered quite the coup since it represented one of the few large commercial infill parcels available in the city. Now, in an effort to make an even greater impact, Karlin has partnered with Dallas-based Trammell Crow Co. in the creation of Parmer, a master-planned project on the land, which is located between Parmer and Howard lanes a short distance east of I-35. Karlin will own the Parmer project and Trammell Crow will be the master developer. The first element under constrution is Parmer 3.2, a 192,000-square-foot Class A office building near McCallen Pass on the west side of the development. CBRE Group Inc. — primarily the team of Mark Emerick and John Barksdale — is handling the marketing. Emerick said numerous companies have inquired about the space. Located in the Austin-area’s northwest submarket, Emerick said the space presents a different opportunity than the estimated 2 million square feet of high-end office space under construction in Austin, much of it downtown. Neither Emerick nor Schwab would disclose which companies have expressed interest in Parmer 3.2. The key differentiating factors with Parmer are the less expensive pricing, ample parking and larger floorplates of 64,000 square feet. Compare that with Colorado Tower, under construction downtown, featuring floorplates of 24,500 square feet. Emerick said many companies prefer to have more employees on one floor for various efficiencies. Delivery is expected in the second quarter of 2015. They said high tech firms are particularly interested, given the proximity of other high profile companies such as Dell Inc., Apple Inc., Samsung Corp. and Oracle Corp. They are working closely with the Austin Chamber of Commerce and the affiliated Opportunity Austin economic development program to secure tenants.